Here’s the lowdown on the High Peaks. As a person with a built-in penchant for tree and rock climbing, I’d never thought about how being in the High Peaks of the Adirondacks could potentially affect those who are afraid of heights. The truth is that even if you find yourself at the top of one of the Adirondack High Peaks, you’re still actually on the ground. But I do understand that those with a healthy fear of heights only see how far down the ground at the BASE of the mountain is. Disclaimer: I’m not at all officially qualified or allowed to provide medical, emotional, or mental support or advice. However, there have been some scenarios in the past in which I DID help someone to enjoy an Adirondack outdoor experience despite their having a severe fear of high elevation. As such, I will now impart my imagined expertise in the form of some exercises that one can undertake to overcome a Fear of High Peaks. I call it the 4 steps of anti-acrophobia conditioning. The Adirondack High Peaks region encompasses a number of communities, but I think that the ideal place to start this therapy is in Wilmington. My theory is that instead of tackling something like the very highest mountain in New York state, you should start by visiting the home of the 5TH highest. Ease into it, as it were. Standing atop a large boulder surrounded by the rushing, trout-filled waters of the West Branch of the Ausable River. Either of these scenarios will provide a solid base for the program’s remaining three steps. 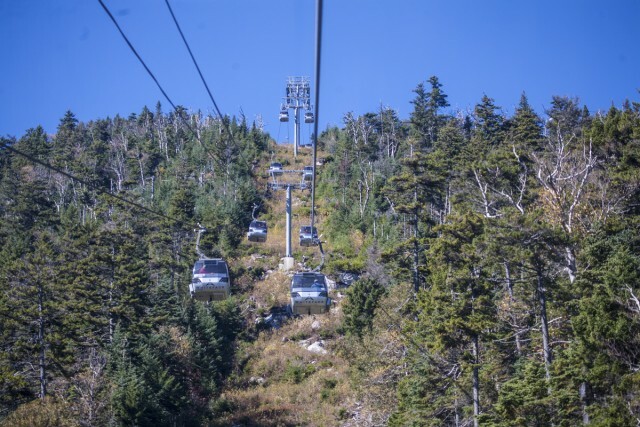 Drive or ride in a car to the top of the Whiteface Mt. Veterans Memorial Highway. It seems easy at first, but as you inch ever closer to the parking area at the top, the expansive views that begin just inches from the edge of the road, right near the wheels of the car, serve as an incremental departure from Earth, getting farther and farther from the safe community of Wilmington below. This step can be completed with the car windows up, but the addition of wind provides the full therapeutic results. 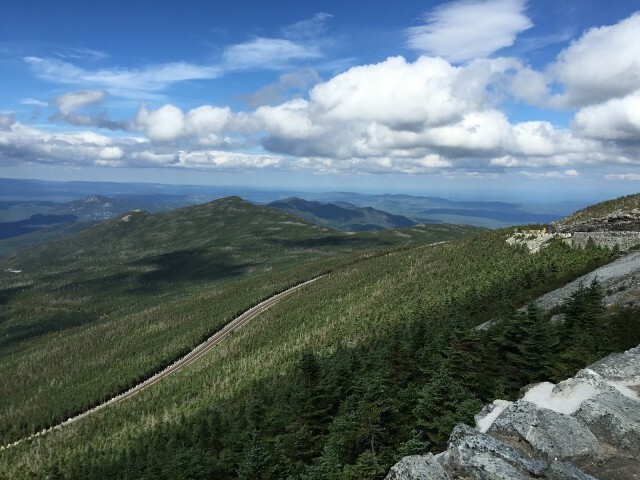 Hike up the trail to the summit of Whiteface Mountain. This is a High Peak, so it’s a significant achievement to hike to the top. The anti-acrophobic therapy in this step occurs just short of the summit, where the trail winds along bare open rock with spectacular views for miles to the East. One should stand close - but not toooo close, to the edge of these bare rocks and take a selfie with the view behind them. This step is also valid if a friend takes a photo of the afflicted person from the trail. I have an acrophobic friend - let’s call her “Jess” for the purposes of this blog - who successfully completed this step, and can attest to its effectiveness. Take a ride in the Cloudsplitter Gondola to the top of Little Whiteface. In this exercise, it is acceptable to leave the windows closed. 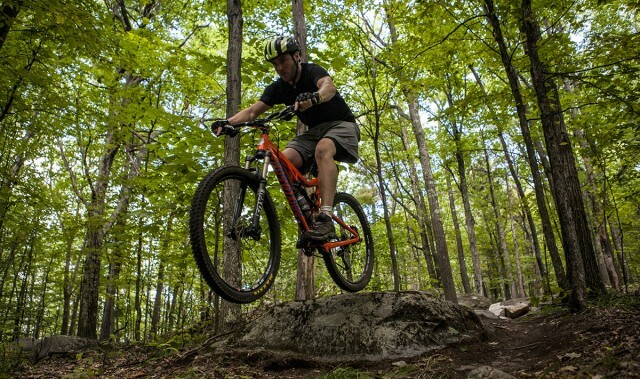 The rider can then contemplate the distance between the thin metal floor and the surface below as the small, enclosed car soars silently over mountain streams, ski trails, steep rock faces, and thick forests and on occasion, wildlife such as deer or mountain bikers. Again, I’m not officially qualified to provide any advice about countering fears. But in my experience, completion of these steps typically renders the elevation-affected sufficiently prepared to move on to loftier goals. -Kim Rielly is the director of communications for the Regional Office of Sustainable Tourism, and is only afraid of of depths and horses. And snakes.